It’s a snowy January and I’ve officially booked up my calendar for my 2019 wedding season. It feels kinda rock ‘n roll to realize I’m entering my 18th season in business! I’ve worked really hard over the years to build up my floral design business and it’s all been completely worth it. When you’re the boss in your business, you don’t want to book every customer! You only want to book the right customers. 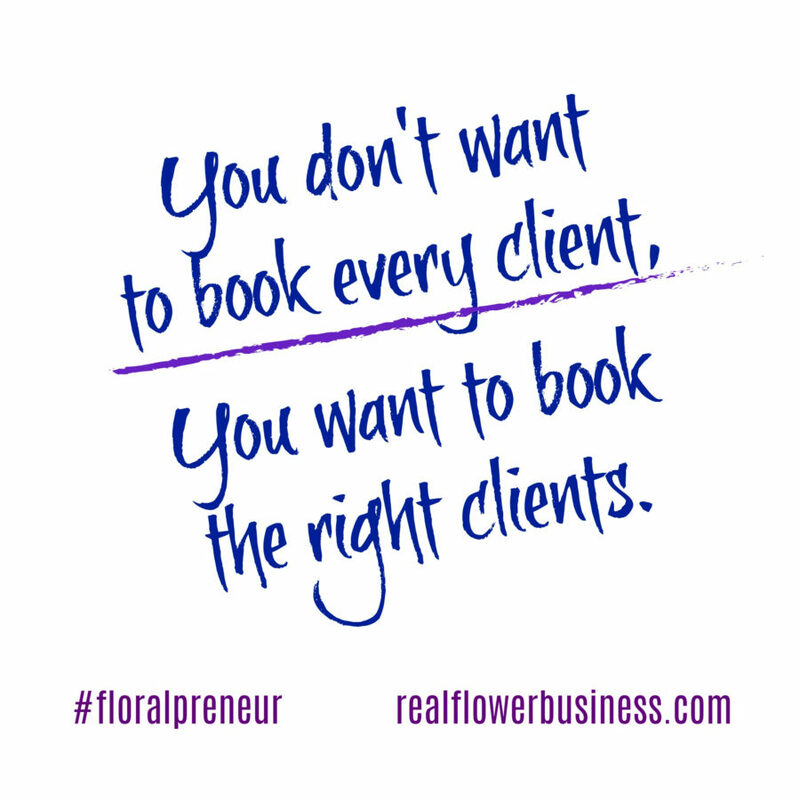 When I was first starting out in my business, I thought the goal was to book every client….no matter what! Lower the price on a few things to meet the budget?… Sure. Meet at a super inconvenient time for me?… You bet! Schedule a second call to go over “all the things” before you decide to work with me? Um, OK! Whatever reassurance a customer needed to be persuaded that I was the right florist for the job, that’s what I’d do! But over time, with experience and concerted efforts to understand who my ideal customers actually are, I’ve come to realize that I don’t want to book every customer!….not by a long shot. Well, it’s someone who doesn’t need to be convinced that I’m the right choice because she can already feel that I’m the right choice from the preliminary experience she had with my company and my brand (via my website and e-mail communication). By tapping into who my clients really are and what they really care about, I’m able to reach them on a deeper level and develop a level of trust before we even speak and that means that “the right clients” get to “yes” more easily. I’ve learned to let go of the clients who aren’t an easy fit. I only want to book the right customers for me. And I clearly communicate the steps in our booking process, so neither one of us invests too much time before we’ve decided we’re a good match. 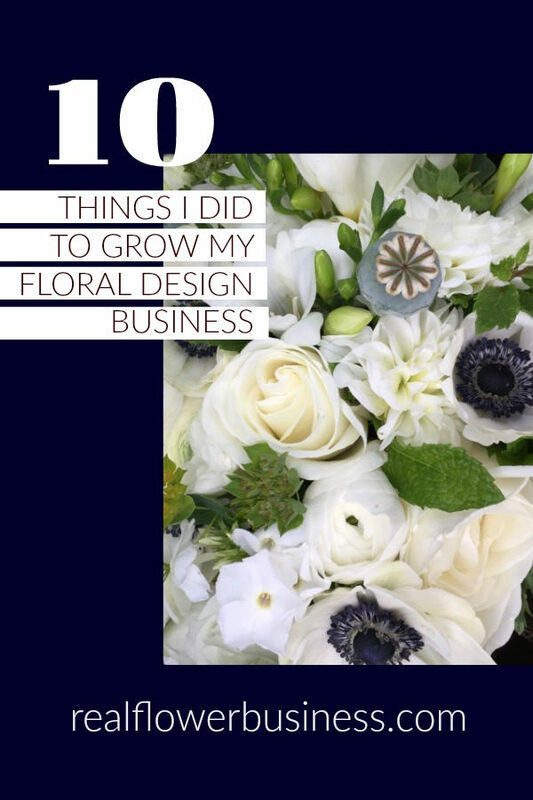 I share exactly how I’ve perfected this process over the past 16 years in my templates for florists! My downloadable pdfs, How To Write Proposals That Sell and Wedding Workflow show you how to spend less time before booking a client and how to lay out the steps for clients from the initial inquiry to post-wedding day follow-up! Combine them with my E-Mail Templates and Wedding Contract, you’ll have my entire communication package, plus you’ll save $30 off when you buy all 5 templates here. “Alison’s email templates are an absolute life saver! It takes a lot of work to learn how to speak directly to the heart of your ideal clients. It may not happen over night, but with time and practice, the booking process starts to take shape and you’ll be able to prequalify clients before investing too much time. You can find all my downloadable pdfs here! Sound familiar? Yeah, I hear ya. But if you LOVE working with flowers and creating wedding designs and making dreams come true…..well, stress comes with the territory. 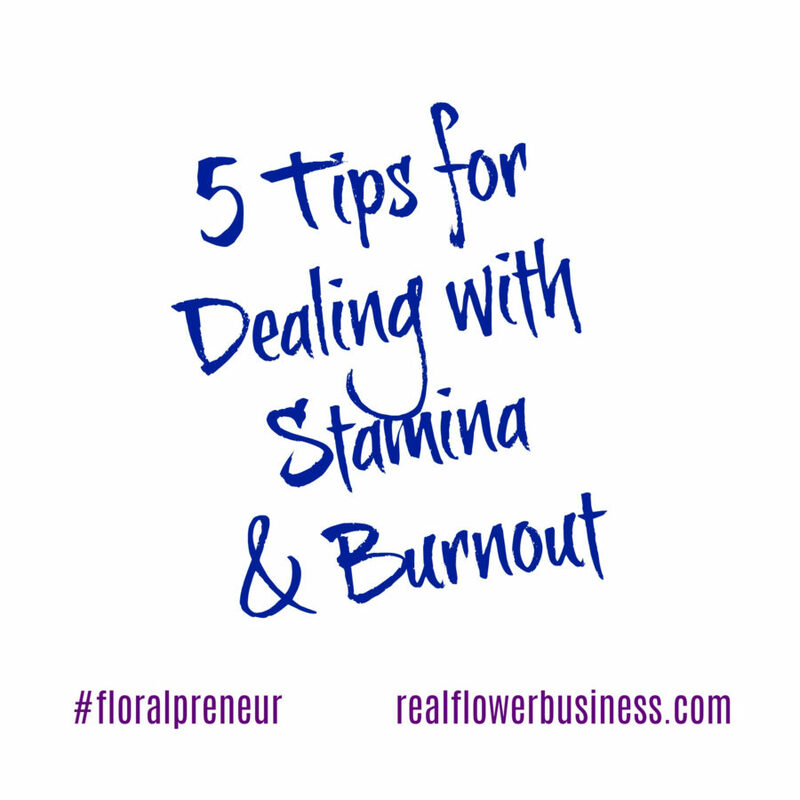 Today’s video is in response to a burning question I received: How do you handle stamina and burnout? Short answer: The struggle is real! Every florist who puts their heart and soul into their work MUST confront the stressful-side of this business. Do you struggle with burnout and stress in your business? Busy is great, but too busy is NOT always great. Note: About 28 minutes into this live chat I share some details about my $15,000 weekend…..was it worth it? The pressure can be scary and you’re not imagining the extreme pressure involved in being a florist. Your stress level often relates to your resources. You may not have enough work space, or enough help, or enough work!…..
We must be willing to adapt. It takes a special kind of person to handle the responsibility of making floral dreams come true every weekend and some people are not cut out for the stress. BUT if you’re willing to “do what it takes” you can succeed. You set the goals for your biz. I started my floral design business out of necessity. I lost my job and knew I had to find my own work from that point on. This may be “one of your professions” or it may be your only profession, like me!….I’m a florist for life. Profitable, successful, happy, loving my business…those are my goals. If your business is making you miserable, something’s got to change! Stop comparing. Don’t get jealous. Plan better. What are the steps you need to take. Set expectations for the client so it’s clear what the relation ship; when have you delivered what you promised? Follow through. Meet expectations. That’s your job. Stamina is related to the follow though. You’ve gotta love it enough to always follow through. Making enough money helps to justify the stress level by the way! You’re getting paid for everything leading up to the wedding day, too, not just the flowers! Have faith. “Faith is experiential.” The more experience, the easier it is to wade through the stress and burnout of uncertainty. 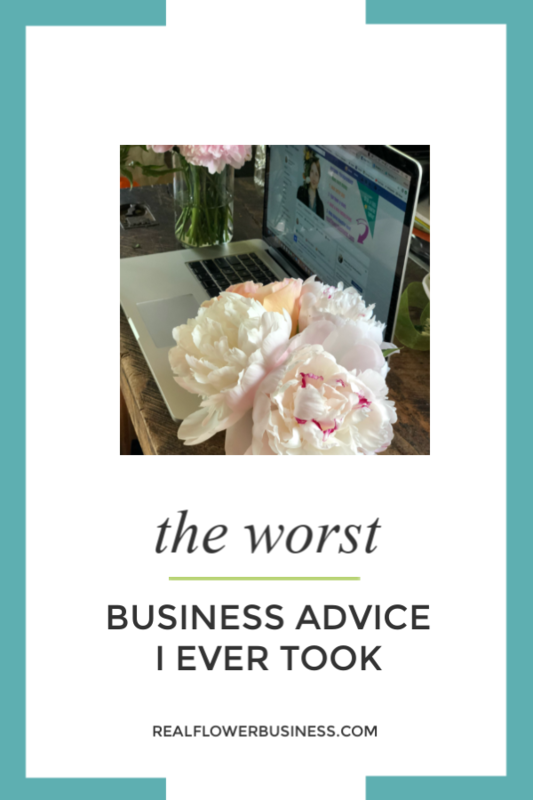 It’s easy to get overwhelmed by stress, especially when you’re newer to the biz…. 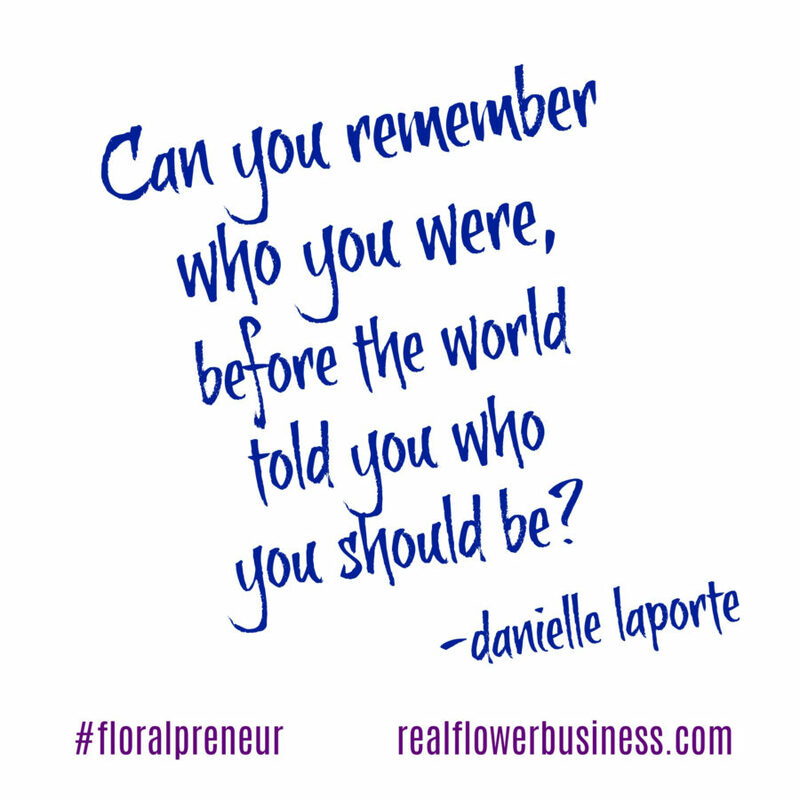 But stress and overwhelm isn’t reserved for “newbies”….even experienced florists feel the weight. When the calendar’s not booked, it’s stressful! not blind faith–faith with a plan. How can you make space for more stamina? I don’t want to burnout. I’m in this for life! So I work on making space…. There’s an ebb and flow in business and in life. Sometimes we need to schedule and plan for some slower time. The rush and adrenaline and thrill of delivering a bridal bouquet and putting it in the hands of a happy client, that’s what it’s all about! Happy clients make for happy florists….and vice versa. Don’t let burnout get in your way. Make space so you can enjoy your business & your life. Thanks for reading and taking some time to watch! P.S. My templates and courses are all designed to help you reduce your stress and uncertainty. Want to catch my next livestream?